Huskies, reindeer, and a lot of snow – Sara Macefield joins a magical Viking cruise in search of the Northern Lights. 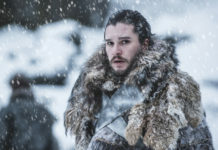 A chorus of mournful howls cut through the freezing air as a pack of boisterous huskies serenaded our arrival to snowy surroundings at the top of Norway, where we had sailed in earlier on board our ship, Viking Sky, as part of our Viking Northern Lights cruise. Even though it was nearly 10am, dawn was only just breaking as we drew up at a dog-sledding centre near the remote town of Alta, high in the Arctic Circle. And in the growing light, I could see the lines of kennels were a hub of activity, with their energetic occupants dashing around excitedly at the prospect of visitors. A few minutes later we were allowed in to meet the likes of Fanta, Latte, Sooty and Sweep as they barked and bombed out of their kennels – a mass of furry wagging tails and lolling pink tongues – to greet us like old friends. It was a fitting introduction to our husky-sledding morning, and we were soon called over to the line-up of snowy chariots where our four-legged steeds were restlessly pawing the ground and whining with impatience to be off. As I settled in with my friend Pip, our tall, bearded musher (who we later discovered was a hilariously chatty Geordie) stepped forward to untether the dogs and off we slid on an enchanting 20-minute ride through avenues of festive snow-covered trees under blue skies and a crimson horizon that finally heralded sunrise. It was utterly magical and easily the highlight of this Viking Northern Lights cruise, which had departed Tilbury a week before to sail up the coast of Norway to Alta, before turning back southwards to finish off in Bergen. 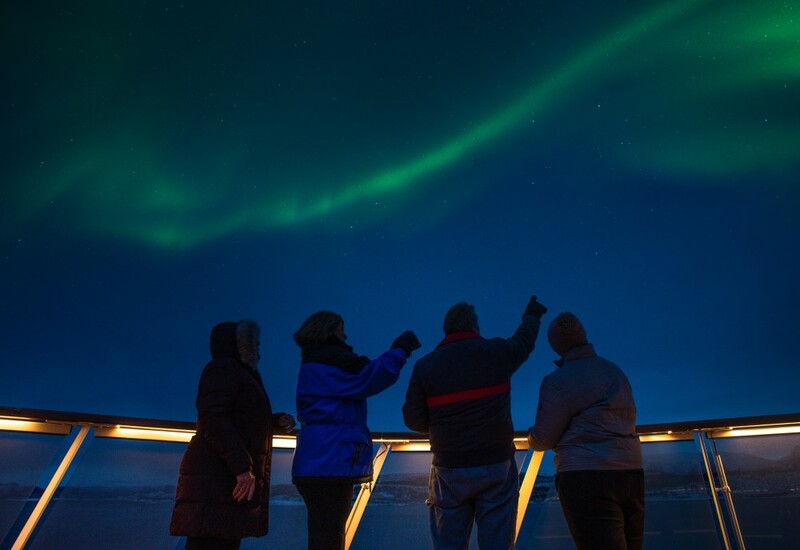 Of course, the main focus of the cruise was to see the legendary Aurora Borealis that has been the subject of folklore since Viking times and still casts its awe-inspiring spell over those lucky enough to witness its full glory. Sadly, cloudy skies and lacklustre displays came nowhere near to meeting my expectations based on images I had seen of the vivid emerald and pink spectacle – although we weren’t completely bereft of sightings on our Viking Northern Lights cruise. 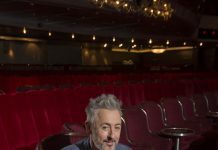 The first had been on our ship when an announcement from the bridge had me slamming down my drink and abandoning my comfy chair to dash out into the bitterly cold night, along with everyone else, to catch a glimpse of diaphanous white streaks pulsating across the night sky. Cameras and phones were held aloft as everyone strained to capture the perfect shot, and it was only when we gazed excitedly at the resultant images that the green hues of these silvery slithers became evident. On another evening, we decided to join an aptly dubbed Northern Lights’ hunt into the hinterland from Alta, where our ship was moored overnight. A fleet of coaches took us deep into the snowy wilderness where the moon cast a luminous sheen over the dramatic ivory landscape, giving it an almost luminous glow. The temperature had plummeted to a mind-numbing -32°C, which meant that my priority was more about keeping warm than watching for celestial activity. But a snug fire pit and cosy tepees, complete with roaring campfires, where comforting warm drinks were served, proved a more popular attraction. Every so often, a shout would go up and we would dash outside trying to figure out whether we were looking at the Northern Lights or simply a few wispy bits of cloud. I would take a few quick photos, as removing my gloves to operate the camera in these Arctic temperatures painfully froze my hands within seconds, before retreating back to the warmth. Another expedition to a camp inhabited by indigenous Sami reindeer-herders was similarly glacial, but the opportunity of taking a reindeer-sled ride across the snowy terrain in the pitch darkness (even though it was only mid-afternoon) was another unforgettable experience. 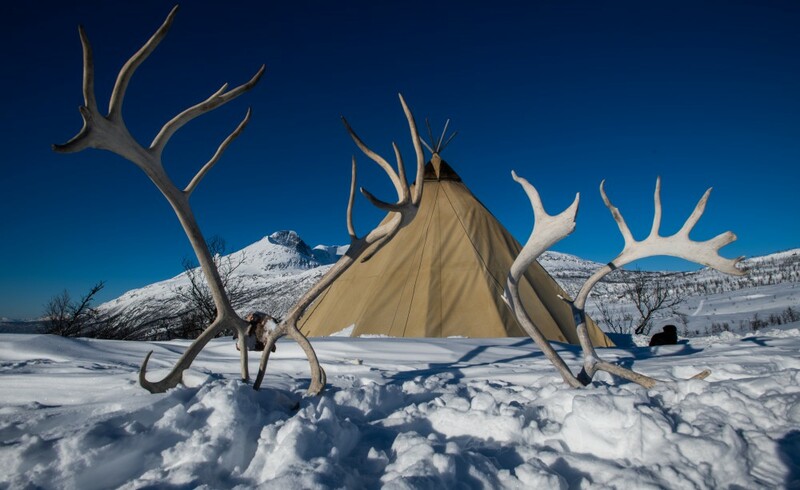 We warmed up with bowls of hearty reindeer broth served in a traditional tepee-like ‘Lavvu’ tent while listening to Sami herdsmen talking about their lives – but on asking them for a drink of water we discovered that the jugs had already frozen solid. So the Northern Lights quickly became a sideshow on this voyage, but it really didn’t matter as the spectacular scenery and exciting adventures opened my eyes to Norway’s tremendous winter appeal. With long nights and whisper-thin daylight hours, I had always thought this region was best experienced when bathed in the long, glowing rays of the midnight sun – a natural phenomenon that occurs here during summer. Admittedly, with dawn not breaking until around 10.30am and dusk descending just over two hours later, it took some getting used to. But the long twilight spell before true darkness fell amid the snowy backdrop made for the most romantic and festive setting. 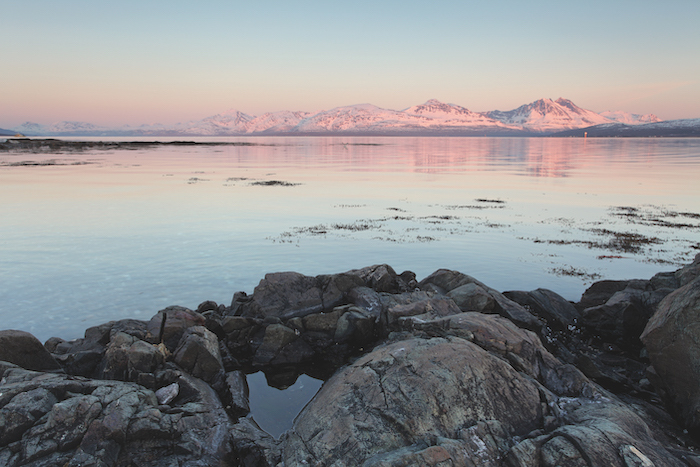 And while this may be one of the most remote and inhospitable regions on Earth, Viking Sky proved to be the perfect upmarket retreat from which to explore it. 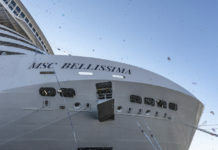 This 930-passenger, all-balcony ship was a byword for Scandi-style chic, reflecting the company’s Norse heritage, with ribbed ceilings, pale woods and integrated metal work inspired by the original Viking vessels. It was the perfect ship for our Viking Northern Lights cruise. and browse books from the onboard library. The Wintergarden, with its lattice-ceiling and tree-like columns, was the place for dainty afternoon tea, though I was careful not to spoil my appetite for dinner, especially as there was no supplementary charge for speciality restaurants – Manfredi’s and Chef’s Table, where I relished an outstanding tasting menu of Norwegian cuisine. 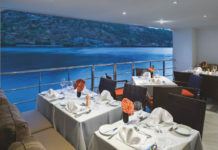 The main dining spot, called The Restaurant, also stood out for its impressive choice of classic dishes, specialities and regional cuisine, using locally sourced ingredients – accompanied by tip-top service, inherent throughout the ship. Another onboard treat was The Spa – an opulent sanctuary with a steam room, thalassotherapy pool and wonderfully novel Snow Room filled with fluffy-white flakes. Moreover, it was all free-of-charge, as was wine with meals and a complimentary coach tour at each port stop. 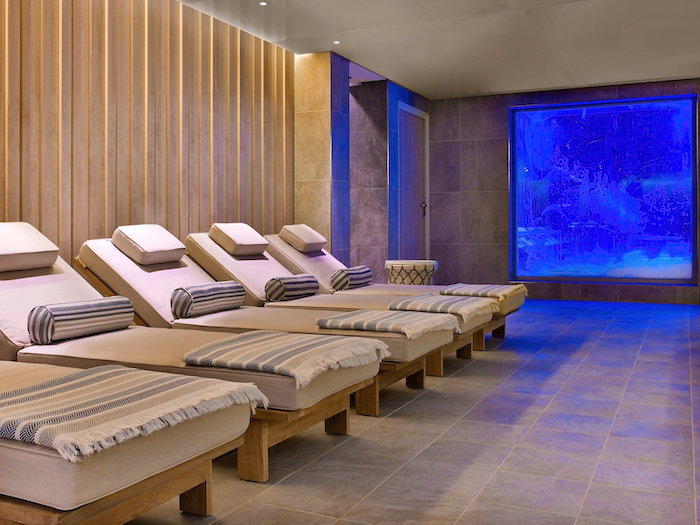 Another luxury, which I had completely underestimated, was the heated floor of my slick ensuite shower room, which proved to be so cosy that, on returning chilled through from one excursion, I couldn’t resist lying on the floor to warm up and ended up dozing off. Our overnight stops at Alta and the pretty Arctic town of Tromsø, whose cluster of snowy streets could have jumped straight off any Christmas card, opened the door to an unforgettable wintry world of adventures. In addition to the activities we had chosen on our Viking Northern Lights cruise, other guests sped off on snowmobile safaris, stayed overnight at an ice hotel and even spent the night in a tepee at a husky camp. Nordic skiing and snow-shoeing treks were some of the other unforgettable thrills on offer – although with prices ranging from $79 to almost $600, deep pockets were called for. While these were all wish-list activities, and well organised to boot, I also relished curling up in one of the many comfy spots on board Viking Sky and gazing out of the expansive windows to watch the spectacular vistas slide by. Our arrival in Alta coincided with direct rays of sun hitting the snowy mountain tops for the first time since last November, and we watched in awe as the sky turned every shade from pale-rose pink to bright coral before deepening into a rich reddening tide as the short-lived day faded into dusk. As we sailed southwards towards Bergen, I spent a lazy morning watching the craggy coastline slip by before we arrived in this pretty port city. Temperatures were milder and the days had grown longer, but I couldn’t help feeling a pang of regret on leaving behind the pristine remote wilderness we had experienced on our Viking Northern Lights cruise. It made me vow to return one day – and if husky-sledding is on the agenda, I know I will be assured of an enthusiastic welcome, too. 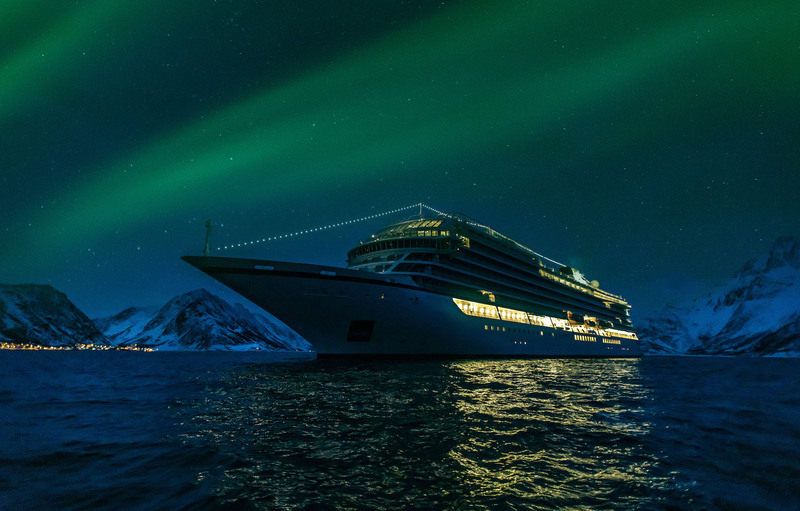 A 12-night In Search of the Northern Lights cruise, alternating between Tilbury and Bergen, Norway, calls at Stavanger, Bodo, Tromsø, Alta, Narvik and Bergen and departs on various dates between January and March 2020. 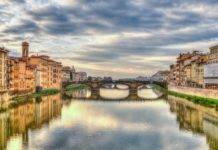 It costs from £3,840pp, including return flights, wifi, drinks with meals, gratuities and a shore excursion in each port (0800 298 9700/vikingcruises.co.uk). 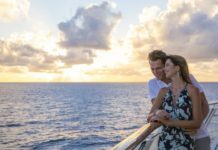 For more Viking cruise adventures, read our Viking China stay-and-cruise review and Viking Elbe cruise review. 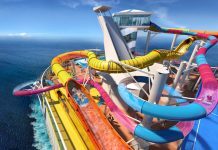 Alternatively, get inspired with our find a cruise feature.